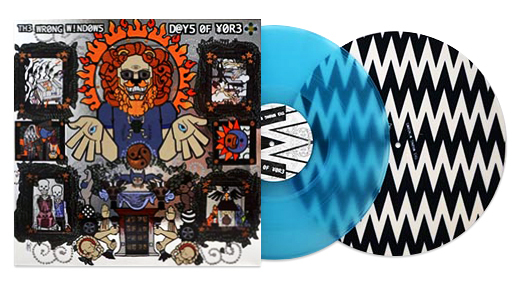 We’ve got some insane vinyl coming down the pipe on this week’s RECORD OF THE WEEK Blog! “I Carry My Awareness of Defeat Like a Banner of Victory” is the second release by CHAINED TO THE BOTTOM OF THE OCEAN. Full of Doom, Sludge, and Filth, this record finds the band in deeper and darker sonic territory while polishing and perfecting the themes that defined their first record. 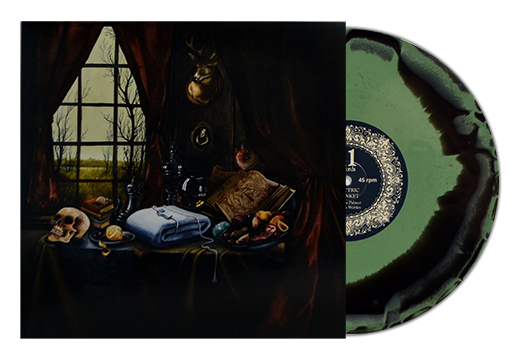 HOWLING FREQUENCY brings you this record in two colors with a sick silkscreened image on the B side! Find out more in the links below or catch CHAINED TO THE BOTTOM OF THE OCEAN on an east coast tour end of March! Bringing songsmithery back from the dead, reupholstering the zeitgeist, agitating the interdisciplinary melting pot, proving that rock & roll doesn’t have to die before, during, or after you get old… For many years Billy Z Duke considered music a side project, but after a de facto spiritual awakening in 2013, music moved front and center. The next 18 months were spent forming a band, christening the collective THE WRONG WINDOWS, then self-recording and producing a debut album, ‘Days of Yore’, reaching for an epic rock sound. Released online in April 2015, it contains 5 originals and 3 cover tunes. A long-gestating, self-funded deluxe vinyl edition is out now! Featuring a die cut jacket housed in a slipcase printed on silver foil stock, printed polybags and a glow-in-the-dark slipmat, this is one of the most deluxe ‘Deluxe Versions’ we’ve seen in a while! With a few select shows coming up in LA, you better hit up the band’s website now if you want to grab a copy! Denver’s GLACIAL TOMB take death metal to new heights with their eponymous debut album. Unrelenting, calculated, and intense, each of the 7 tracks on “Glacial Tomb” see the band draw inspiration from death metal at a time where the genre relied on unforgiving sonic brutality as much as it did masterful musicianship. Tracks such as the opening “Monolithos” and “Witness” see the band club and pummel the listener with some of the heaviest riffs to spawn from the Western US, while tracks such as “Breath of Pestilence” showcase the band’s punk rock spirit as they contemplate existential dread, misanthropy, and failure. Not to be confined to a single sonic identity, much of GLACIAL TOMB’s music ebbs and flows throughout the spectrum of the extreme; incorporating sludging riffs, and angular, dissonant black metal chording into their arsenal. Find at more at GILEAD MEDIA! CANNIBAL CORPSE began their rise to the top of the death metal heap in 1988. They have toured and recorded constantly since their inception and all of those years of toil have made them the highest selling death metal band of all time. And through all that, they’ve never wavered, never catered to critics, and have done one thing and one thing only: write, record, and play brutal death metal on every continent on earth that will have them. 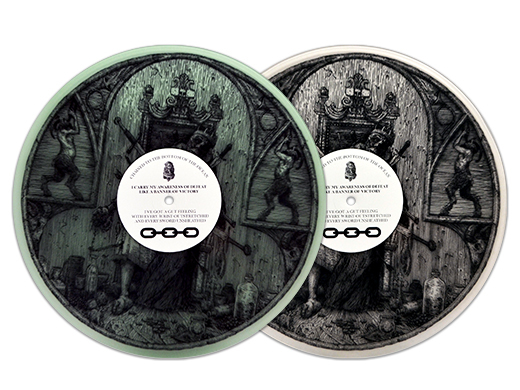 METAL BLADE RECORDS dug into the archive to resurrect their first EP, ‘Hammer Smashed Face’ – pressing up the single version of the EP with a skull/candles etching on the B side! CANNIBAL CORPSE will be coheadlining the Decibel Magazine Tour 2019 with Morbid Angel. Following that tour, the band will join the US leg of Slayer’s final tour with Lamb of God and Amon Amarth, so get out there! AMANDA PALMER is singer, songwriter, pianist, writer, best-selling author and performance artist known for her solo work and as half of the Dresden Dolls. JASON WEBLEY is an international troubadour known for his stage antics and audience participation. PALMER and WEBLEY have worked together on numerous musical and theatrical projects, ELEVEN RECORDS frings you these two songs by Jason and Amanda that never had a proper home. “Electric Blanket” was written back in 2008 about a passive-aggressive gift given to Amanda during a war over just how hot it should be on a tour bus. “House of Eternal Return” was written in March 2016 in Santa Fe for opening night of the Meow Wolf art installation of the same name. Hit up ELEVEN RECORDS to get one of these limited releases or wait for AMANDA PALMER’S new album, “All The Things” is coming out on March 8th followed by a world tour. JASON WEBLEY is thinking about floating down a river on a raft full of circus performers this summer. 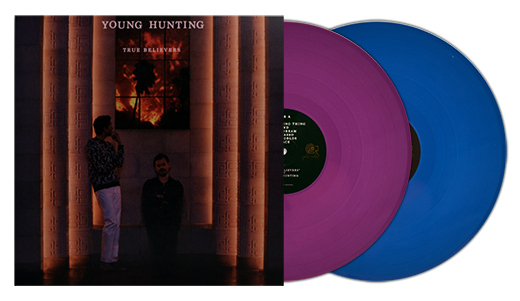 YOUNG HUNTING’S sound is formed around gentle, lush dream pop interspersed with stark, desolate gothic folk. Primary songwriters Hari Rex and Ilya Mxx first met in 2007, quickly bonding over a shared appreciation for Nick Cave, Jason Molina, Can, and the classic California pop of the 60s and 70s. ‘True Believers’ is the follow-up to YOUNG HUNTING’S debut LP ‘Hazel’. The album deals extensively with loss of future and loss of past, encountering the void on intimate terms – watching a familiar life evaporate from your hands, merging the self and the shadow-self. YOUNG HUNTING around the west coast here and there, you can wait for them to come out again or go to GOLD ROBOT RECORDS to grab a copy today! One of the UK underground’s longest-running and most respected acts, HECATE ENTHRONED is dedicated to delivering their own brand of evil metal with little regard to politics or the trends of popular demand. 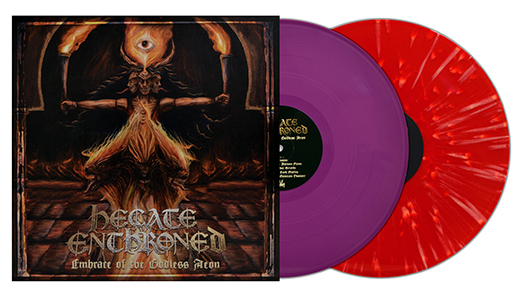 Their first album in 5 years, ‘Embrace of the Godless Aeon’ comes in two versions, with the purple record being part of a super exclusive box set includes a cassette and all sorts of other goodies, thanks to your friends at M-THEORY AUDIO! HECATE ENTHRONED is touring throughout 2019, keep tabs on the bands FB page for more info. If you’ve got an idea for a record, we can help you make it happen!